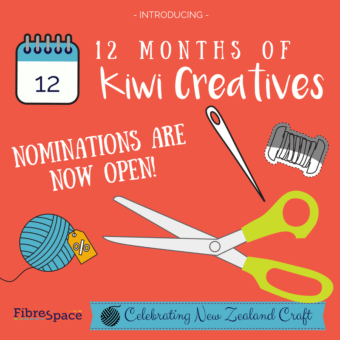 Nominations are now open for 12 Months of Kiwi Creatives! New Zealand is full of talented people doing amazing things. Here at FibreSpace, we know how hard it can be to gain exposure of your hard work, especially without massive marketing budgets. So we wanted to showcase the best of New Zealand in the crafting space. Every month, we will shine the spotlight on a Kiwi Crafter and their wares. Think you know an awesome crafter? Nominate them here! 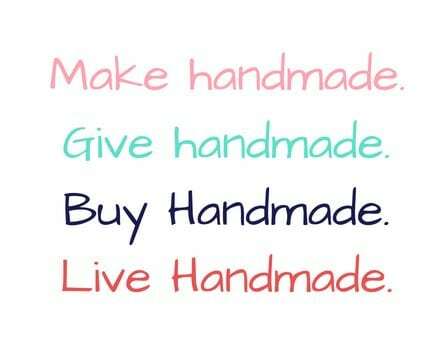 We’re very proud to open this campaign to our fellow crafters. What does it mean to be a FibreSpace Kiwi Creative? We will post and promote your personal and craft profile (as a blog) on our website, using your supplied photos of yourself and your craft. We will sell and promote three of your products / wares on our website, using your supplied promotional photos. We will promote all of the above on our social accounts and to our email followers for your month, tagging your social media profiles in relevant posts so you can share them, too! Your website/social media profile will be on our list of Top Kiwi Creatives, and you will have a Badge of Honour from us to put on your website. 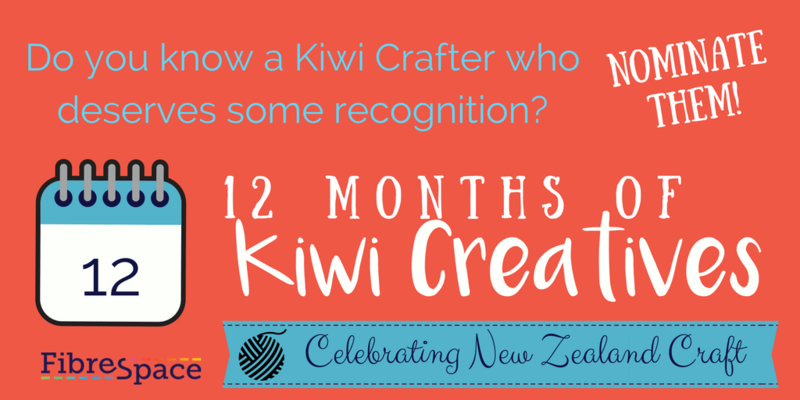 If you live and craft in New Zealand, and you love to craft, you can enter! We’re open to finding out about all sorts of craft! We only have 12 spots, though – one for each month – so make your entry count!